A brand new report has positive vibes about the LG G7 ThinQ. Customers who pre-ordered the flagship were actually enticed by the hardware and features it came with as compared to the G6 as the numbers are much higher compared that to the Snapdragon 821-powered smartphone released a year ago. Compared to aforementioned figure, just 40,000 units of the LG G6 were pre-ordered in 4 days. ETNews reports that pre-orders for LG G7 ThinQ started on May 11 in South Korea. 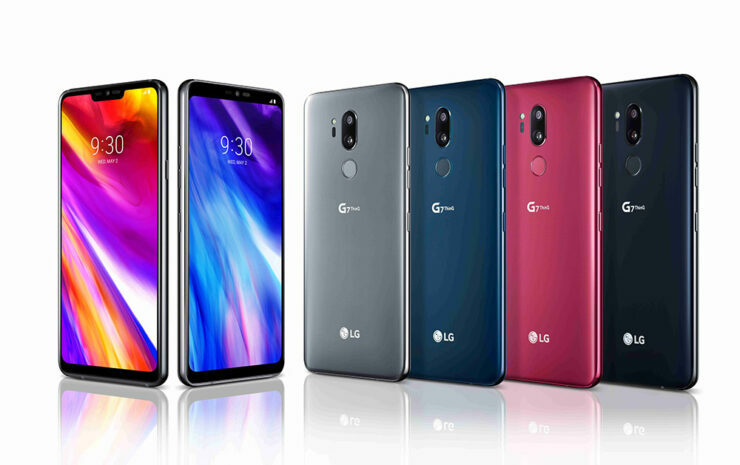 The reported numbers include both LG G7 ThinQ and the LG G7 ThinQ Plus. LG G7 ThinQ retails for 898,700 Won ($833) and LG G7 ThinQ Plus costs 976,800 Won ($906). The price of the LG G7 ThinQ is the same as the debut price of G6. In terms of specifications, the flagship features a Qualcomm Snapdragon 845 and has the Adreno 630 GPU. It sports a 6.1-inch display with a crisp resolution of 3,120 x 1,440 while bearing an MLCD+ panel. The MLCD+ is one of the highlights of the flagship as it is a highly improved iteration of the standard IPS LCD. It has also been rumored that this same technology is going to be found on the iPhone 9 when it debuts this September. The phone runs Android 8.0 Oreo, and upgrade to Android 9.0 P is planned for the future. There is also a dual-camera on the back side (16MP F/1.6 + 16MP F/1.9). The front camera is an 8MP shooter and the company used a very unique approach to produce sound out of its recent crown jewel. The battery capacity is a disappointing 3,000mAh but it has an IP68 certification against water and dust plus it gets wireless charging support too. It’s hard to say why LG G7 ThinQ is more popular than the G6. Bear in mind that the G6 was powered by the Snapdragon 821, although the Snapdragon 835 had already been released at that time. In comparison, the G7 ThinQ has been announced with Qualcomm’s latest chipset. Although the phone did slightly better on its home turf, this does not guarantee that the success will be replicated the world over. However, the phone is off to a good start and gives enough reason for the company to be optimistic about the future.